Conference Photographer – Police Chiefs’ Summit 2018. I was working in London last week as the official photographer at the NPCC/ APCC (The National Police Chiefs’ Council and the Association of Police and Crime Commissioner) Joint Summit Conference, which took place over 2 days at the QEII Conference Centre in Westminster. 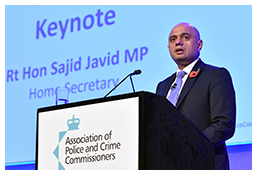 It is a high powered event featuring not just senior police leaders from forces around the country but high profile political figures including the Home Secretary Sajid Javid and The Shadow Home Secretary Diane Abbott. 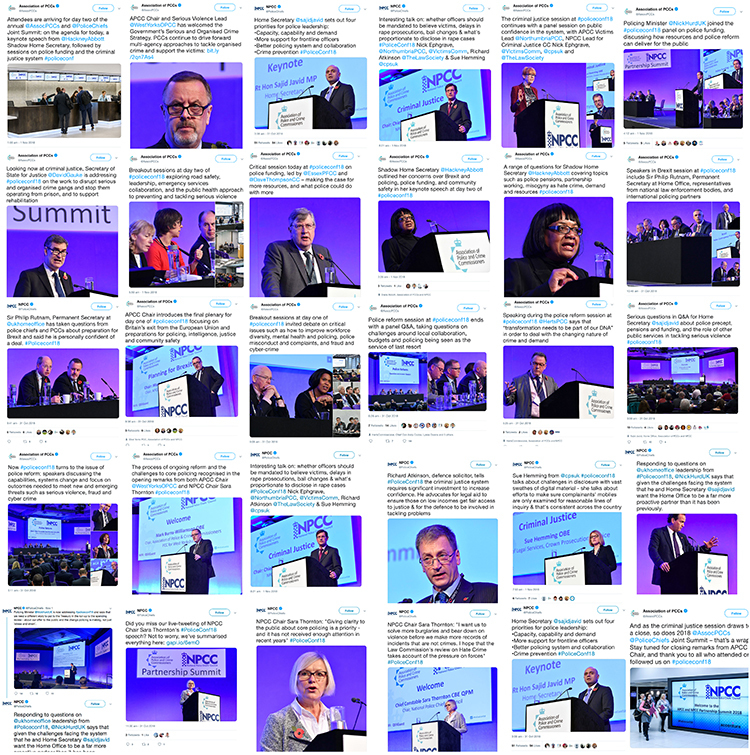 I was also regularly uploading images ‘live’ throughout the conference to the communications/ press teams who were keeping up a constant stream of social media posts. The montage above features just a selection of the hundreds of tweets featuring my images over the 2 days of the conference.